It's the look of the moment. 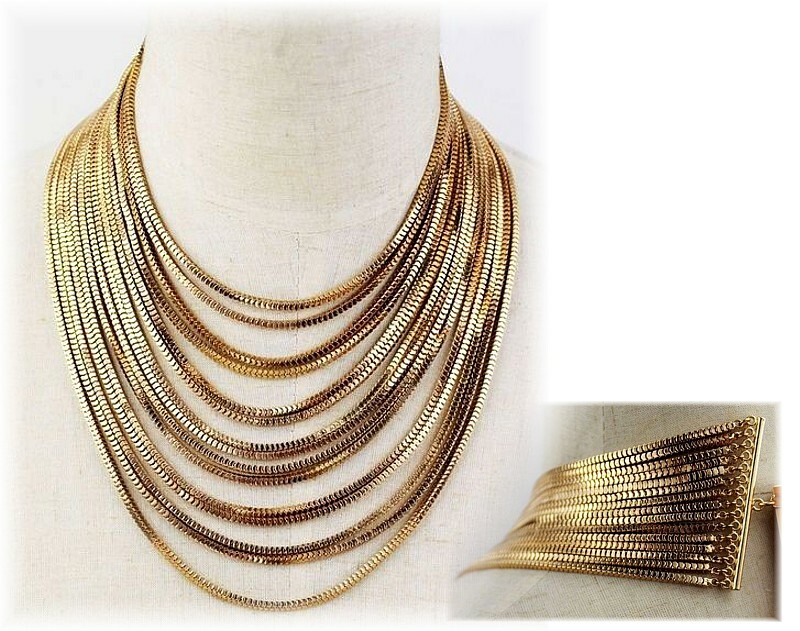 Trendy golden chains in graduating lengths to create the layered look in an instant. Classic when worn with a little black dress or more formal outfits. Perfect between the lapels of a jacket. And ideal when layered with other jewellery, such as pearls, flowers and charms. Can also be used to rock a funky chunky Punk look when layered with crosses and skulls. Length: From 33cm (13") - 51cm (20").